MSP5, Active Monitor from Yamaha in the MSP series. Lhc's review"My faithful and tireless speakers"
I needed something better than my hi-fi system to make electronic music with my PC! I was looking at classified ads but a musician friend of mine recommended me the MSP5, which were on sale. An important point for me back then, and still today, is that the vents are on the front, because I can place them close to a wall (I don't have another choice!). No amp because they are bi(amplified), my setup consists only of two MSP5s connected to the outputs of an analog mixer. I have not many points of comparison. Frequency response curve: They lack deep lows (which is normal given the size of the speakers) and they have some sort of dip and a boost in the mids, which makes the overall sound more aggressive than with other speakers. I am so used to them that I have a hard time assessing sounds! In any case, they have a very good dynamic response and at loud volumes the vents blow so much air with the kicks that you can use them as hair dryers! Beyond a certain volume you can hear air-swishing sounds from the vents, which is annoying (but only at very loud volumes, to rehearse with your deaf buddies, not a level you'd use for mixing). I think they are best for rock, pop and similar, rather than electronic music or techno (especially due to the lack of deep lows). After more than 12 years of use I still can't part with them (even if I bought some Genelecs, I'd still find a use for the MSP5s). I haven't tested any other models at my place but I have been able to use other ones in other home-studios: The big Yamaha 80W with subwoofer wouldn't suit me because the vents are on the rear and the difficulty to find the right place for the subwoofer. However, it's true that the lows go much deeper which makes it more comfortable to mix electronic music. I have also used some Genelecs, which are certainly better... but the price is not the same! I'm happy with my MSP5, which I know very well now. I also work with (good) cans since the kids' rooms are close to the studio. When a mix sounds fine both with my cans and the MSP5s then I can say it's okay. They are solid, reliable, dynamic and a bit aggressive, you need to tame them (like all monitors), but once you do, it's a real treat to use them. I've had the Yamaha HS50M, good speakers, but these one are CLEARLY better from any point of view: Impeccable finish, crystal-clear sound. They are small but weighty! They are perfect for a home studio, the best ones I've ever had. Right from the installation, I adopted them when I had some trouble with the HS50M. Sound is clear as crystal, it's a real treat. They distinguish themselves from the HS50M, which are pretty aggressive. These are very pleasant, I have finally found a set of speakers that satisfies me from all points of view. I ran a quick test this evening with the TotalMix of my RME UCX and it's fabulous, you can clearly hear the slightest change. I finally have the right speakers to mix, they have nothing to do with what I had up to now. Kudos for Yamaha for these speakers that transcend eras and trends. I compared them to the 50M and they are obviously better, but the 50M are good speakers. On the other hand, they completely OUTCLASS the Prodipe P6, which are inaudible and much less precise in comparison. I did a test with an MSP5 on the left and a Prodipe P6 on the right and there's simply no comparison They are much smaller, but they have a superb sound and finish. It's a different ballgame altogether. Prodigious small speakers, I can hear things I couldn't hear before. 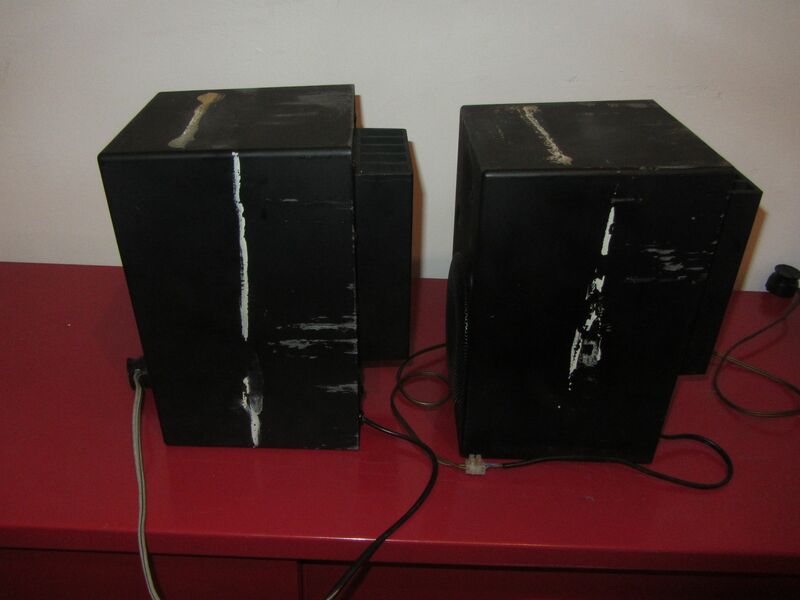 ericthegreat's review"great for mixing "
The Yamaha MSP5 are a great set of studio monitors. They are compact and each packs a truly huge sound. Because of their small size and weight, they are easy to move and place within a room. They are extremely well built and are very sturdy - it would be hard to break these. 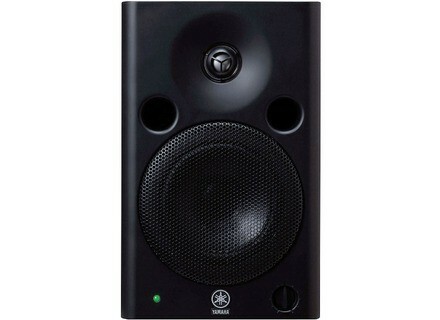 It also has the Yamaha seal, so you know you are getting a pair of studio monitors from a top, well respected, brand. 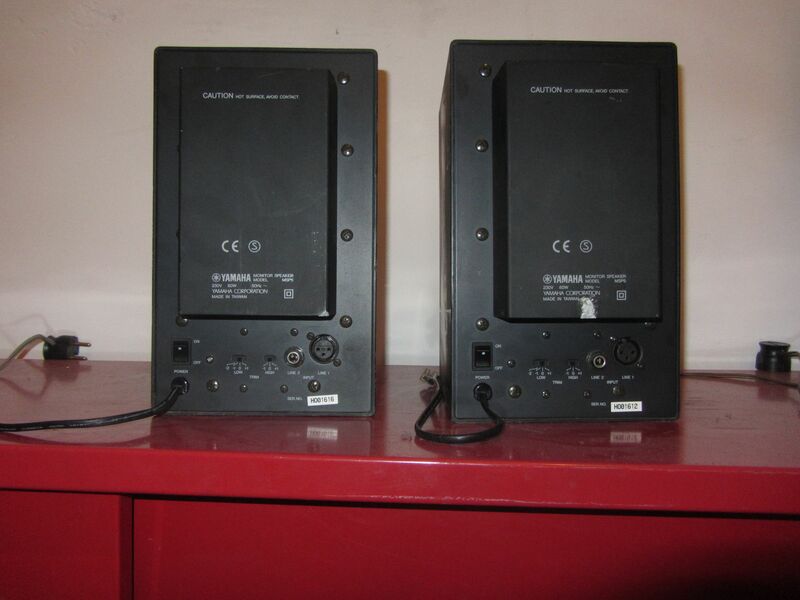 These are near field monitors and are self powered, so you don't need an external amplifier. They are great mixing and general listening. The sound from these monitors is full of life and produces a neutral signal that is an accurate portrayal of what you are playing, although sometimes I think they sound too good! The stereo image is wide and is definitely satisfactory. The overall sound of these monitors is crisp and clean, while maintaining a fullness not found on your typical studio monitors. I've been using the Yamaha MSP5 studio monitors for about three years. I've used them both for tracking and listening and for mixing. They work great in all listening applications because they provide not only an accurate portrayal of the sound you are playing but because they cover the whole spectrum of frequencies. Yamaha has a reputation for being one of, if not the, best makers of studio monitors. 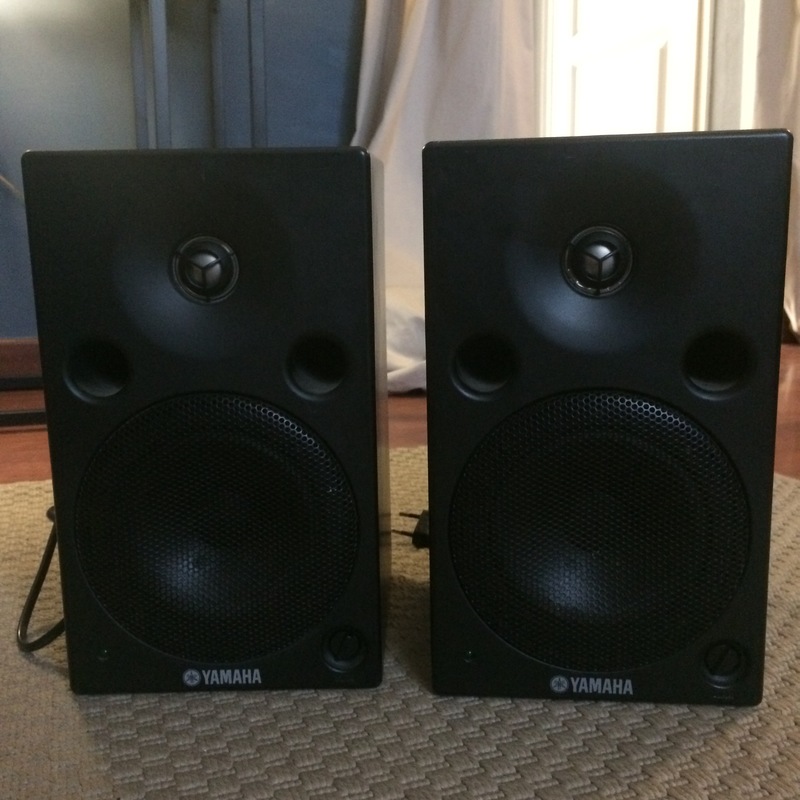 While these aren't the best Yamaha monitors I've heard, as some of their higher end models are just ridiculous sounding, for the price these are a great set of monitors. 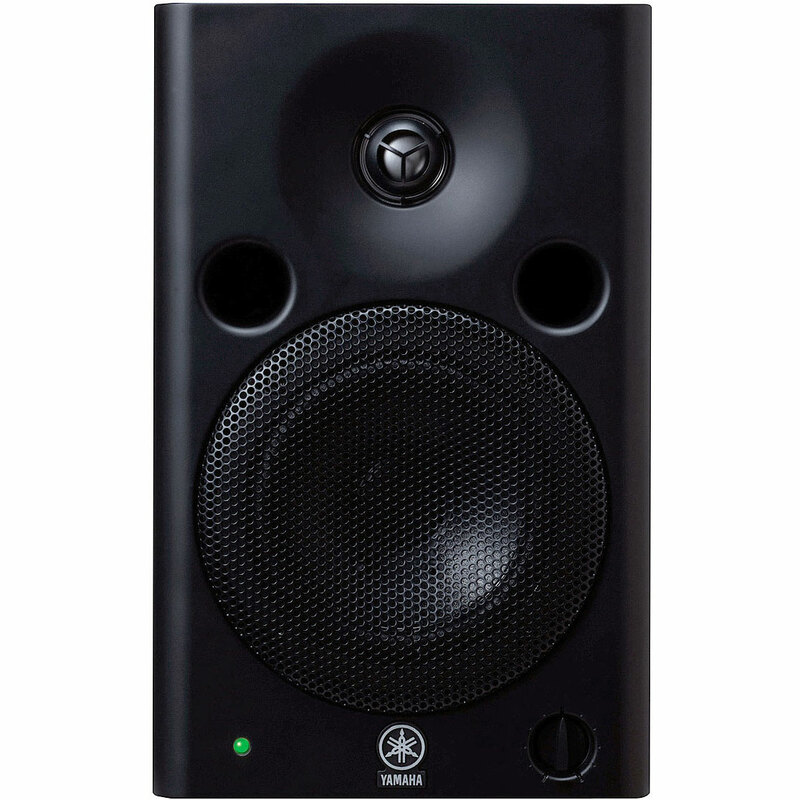 The price isn't the cheapest, but if you are putting together a nice home studio, these are a great option because they aren't as expensive as some other monitors, like the Yamaha MSP5 , but are still top quality. Overall, these are a great set of monitors ideal for the serious home recording owner. The Yamaha MSP5 monitors are powered studio monitors, I paid 250 per monitor for these, they sound great but I was very disappointed with the low in frequencies in these. They were a total let down and didn’t provide me hardly with any thump. Coming from the KRK’s and plugging these up was like two different sounds. You cant even put these in the same category as the KRK’s but they are still pretty good. But with an unaccurate low end frequency its hard to get a clean mix on the low end. The MSP5’s have a balanced XLR type input which is good because most equipment uses XLR and you can plug up and start listening right away without having to switch a bunch of connections around. I would say it sounds ok, like I said I wasn’t happy with the low end of them, because even in my acoustic treated room I still couldn’t get a clean mix on the low end of my productions with these monitors. 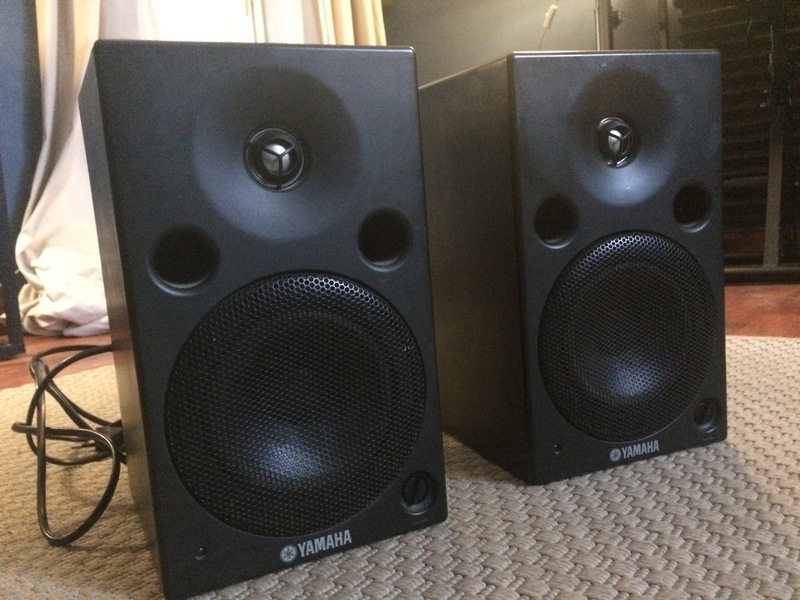 I think yamaha’s products are great I just don’t know what happened with these, for the price of around 500 for the pair I would expect something way better than the frequency of these. But overall if your not worried about having a lot of low end , or if you don’t compose your music with a lot of kick and thump than these will work perfect for your. Maybe for some easy listening music or some jazz because of a smooth bassline with no punch, they will sound great. But if you need something with some punch and knock go with some krks’s or the upgraded version of these. Its just sad that the Yamaha MSP5’s cost so much and they disappointed me. I feel like they are the same as the HS50M monitors and only cost half.